The Croning follows Don Miller, a genial yet seemingly addle-minded older gent whose career in geology has trailed off, along with his mental acuity. Don’s wife Michelle, though nearly the same age, continues jetting around the globe, exploring, conferencing, and occasionally vanishing in ways that seem both secretive and suspicious. Don keeps meaning to pin her down about mysterious past events — where she went, who she was with, what happened to him, what it was all about — but the gradual deterioration of his mental faculties means all such intentions to learn more about his wife, to understand what happened and why, eventually trail off and fade away. The book begins with an altered and mood-shifted version of the Rumplestilskin fable, which takes place in some indeterminate distant past, and also connects to the later story of Don, Michelle and their families. From there, the story moves from the 1950s to the 1980s to the present day. Time is not merely linear and forward-moving, in fact the looping, repetitive and continuous nature of time is a matter of repeated focus here. We encounter secret agents, corrupt police, weird rituals, and Barron’s oft-present bored, wealthy decadents messing with things they oughtn’t. The stories of Don, Michelle, their ancestors and the shadowy followers of Old Leach are full of dark mysteries, secrecy and possible betrayals. Don moves past these things, always affable and seemingly balanced despite the accumulated darkness trailing behind. He’s essentially an unreliable narrator, whose unreliability becomes clarified as elements of his obscured history are revealed, both to him and to the reader. At the same time, it’s difficult for any writer to focus exclusively on short stories or novellas. Most readers are more interested in novels, which is the reason publishers want to see writers write them. It was inevitable that a writer as acclaimed and awarded as Barron would have everyone clamoring for him to write a novel. So how does he handle the larger canvas, hundreds of pages in length? And as a critic, even an informal one, do I compare The Croning against Barron’s masterful shorter works, or against contemporary novels of horror and weird fiction by other authors? I’d say by any standard The Croning is a success. That’s not to say The Croning eclipses such masterworks as “The Forest,” “The Imago Sequence” or “Mysterium Tremendum” in craft, narrative impact or overall quality. Rather he equals the standard set by his own shorter works, and by doing so in the more widely accepted and commercially viable form of the novel, takes that necessary next step toward asserting a more general dominance over the horror/weird genre. Write a powerful novella, or collection of them, and you’ll impress the critics, awards panels, fellow writers, and that narrow segment of the reading community that follows shorter forms. Show yourself capable of writing a powerful novel, and the mainstream of genre fandom will take notice, along with publishers who might not have known what to do with a writer like Barron until now. A few years ago, any mention of Laird Barron’s work invariably mentioned the word “Lovecraftian,” yet over time Barron’s work removed any question that his brand of cosmic horror had more going on than emulation of Lovecraft. Barron is in the process of establishing his own mythos with its own geography, including complex legends and interlocking structures of cause and effect. Readers familiar with his previous stories such as “The Men From Porlock” and others, will spot elements in The Croning which echo, either explicitly or implicitly, names, locations or events from earlier stories. With The Croning, Laird Barron steps outside the short fiction arena and proves his style, combining the brisk energy of pulp storytelling with the dense richness of literary prose, translates well to novel length. This broader canvas allows Barron time to accumulate disorientation, build up a painful tension, and gradually lower the reader into cosmic, abyssal darkness. After reading the last page, I felt the need to reorient myself, the way a diver must decompress after delving into deep waters. This is a powerful, affecting work of fiction, and the fact that it’s a first novel implies great things are ahead for Barron and his readers. 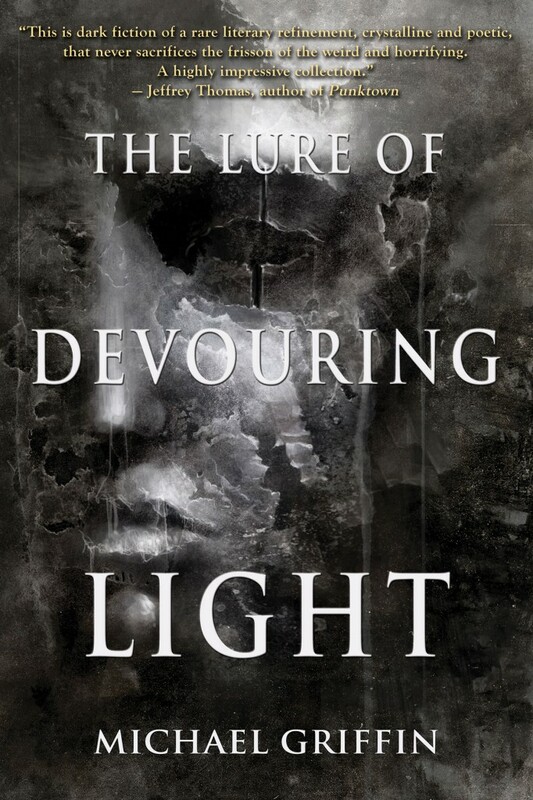 This guy is doing work of the highest order, and any fan of weird fiction, horror or dark fantasy needs to check it out. 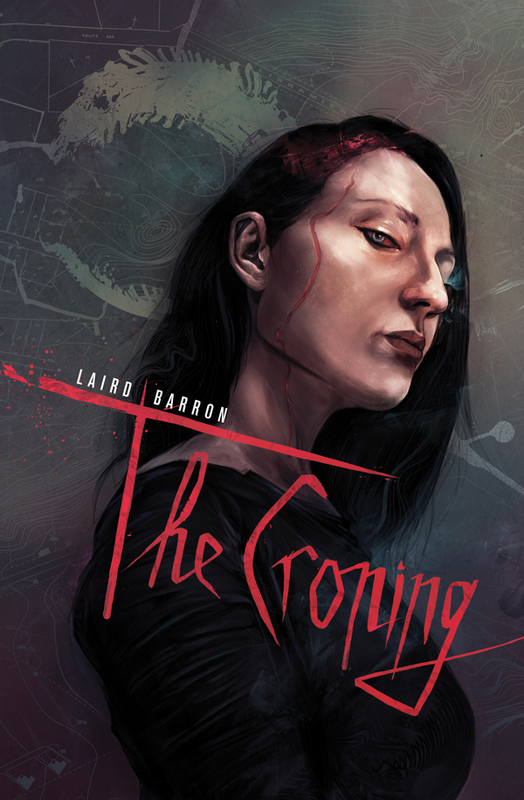 If you’ve held off checking out Laird Barron because you don’t like short fiction, start with The Croning.